it is a year of returning to old trails to regain memories and exploring new places that i've been longing to visit for years. the funny thing is that each time a place is explored another spot pops out to be explored. a seemingly endless journey of great experience in travel. 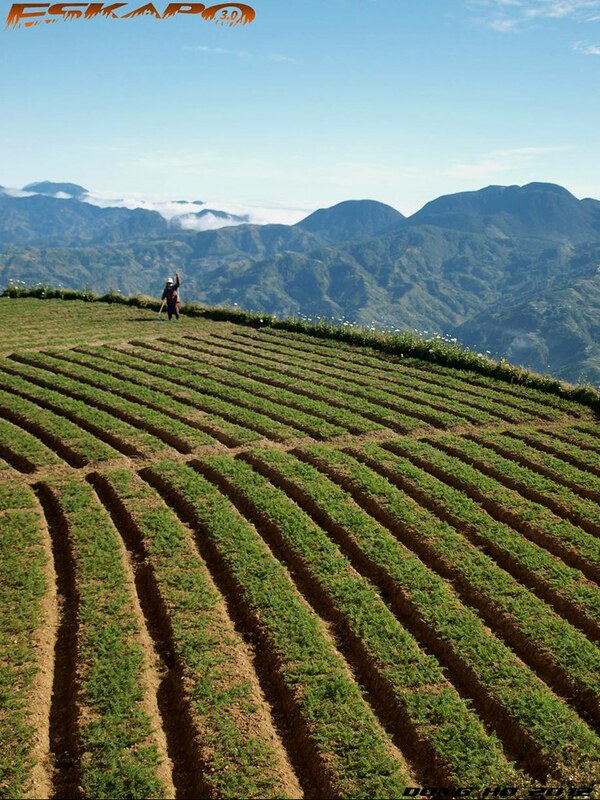 good thing our lifetime is divided in years... so here's twenty of my most memorable trips in 2012.
place: when i first went on a roadtrip to Sagada, this scenic valley on lowland as viewed from the central area of Abatan, got my attention. telling myself, i need to go down there one day. 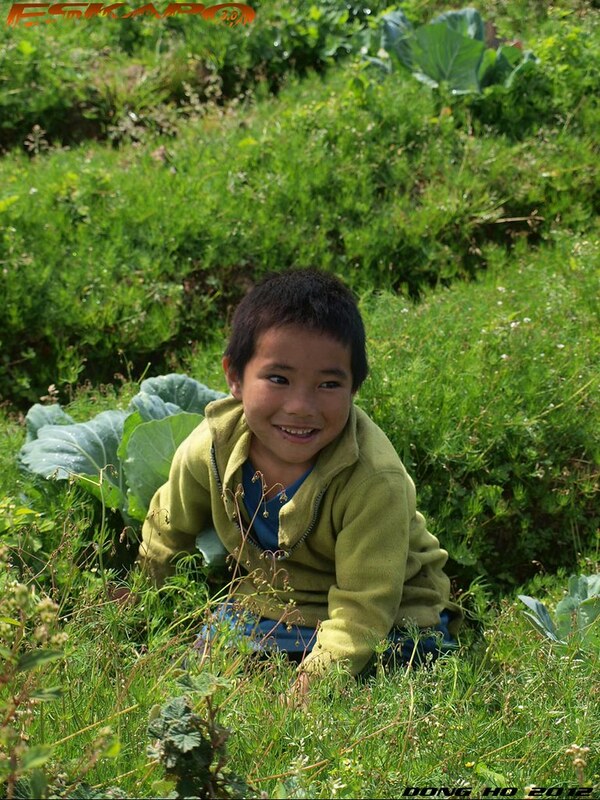 this year, i found myself hitching a ride down to this humble community of farmers. it was my first time to see purple cabbages. they say that it's one of the new demand due to the increasing number of Koreans residing in the Philippines. experience: a truck was parked on the road down to Loo Valley filled with food and drinks. a man noticed me and asked where i was going and later invited me to join them instead as they were on their way down for a church feast. bonus: a lady on my way back to Abatan offered me newly picked strawberries. she told me "try this. you'll know it's better than the ones you've tasted". indeed. place: out of all the bad news about Compostela Valley, i believe that there should be something good in this province. 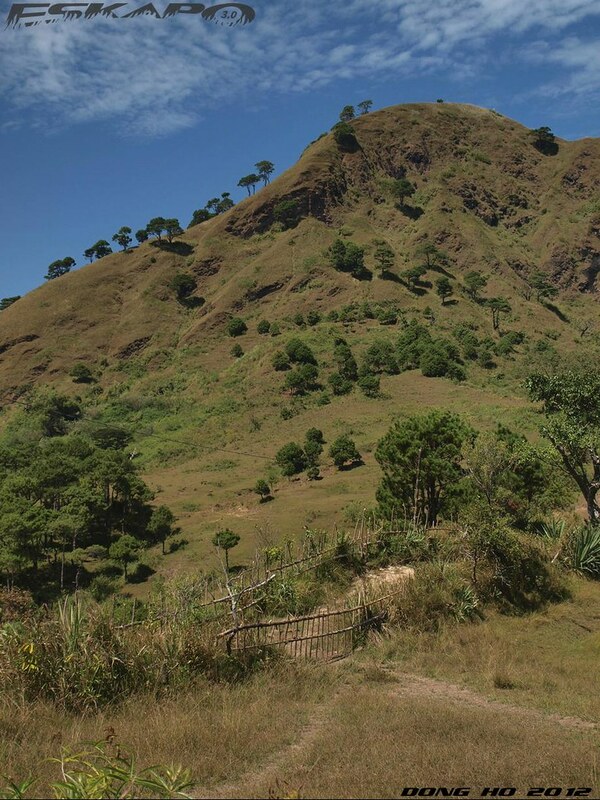 aside from being one of the newest province it is also known for landslides but large areas are still rich in natural resources including gold. municipalities of this province can be accessed from different points. some via the road to Mati and some to Surigao Del Sur. experience: a solo road trip is safe by bus from Tagum to Nabunturan with mountain range and valleys can be seen along the way. bonus: i got to see the largest golden ring in the country at the provincial capitol. during my visit it was enclosed in a glass display at the lobby. 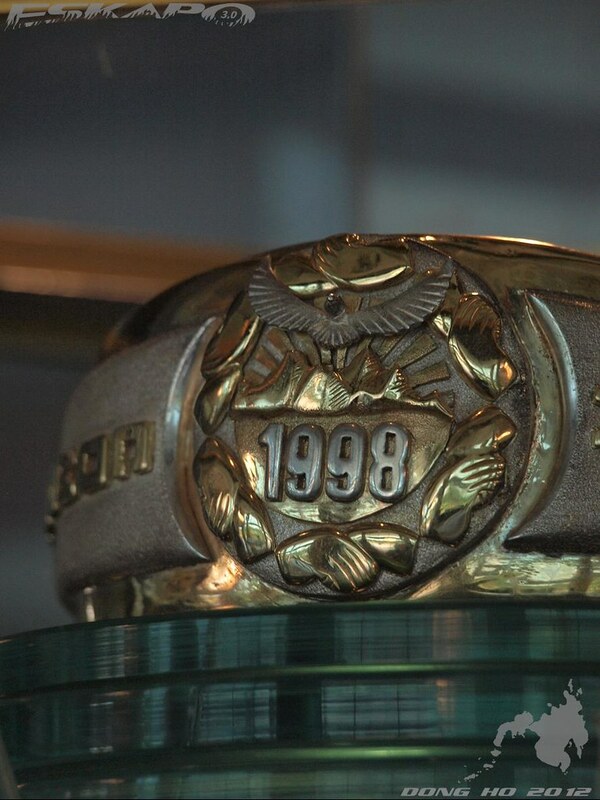 the ring is sometimes relocated. place: Pacific coast with a long grey sand beach home to a growing surfing community. getting there would require a side trip to the famous historical church, a tsunami monument and a preserved marine site. experience: no itineraries. 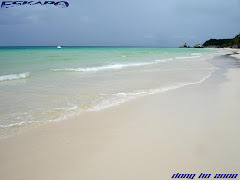 a trip where we just wanted to relax but the calm waters of Dicasalarin was irresistible. we ended the day finding ourselves swimming even without extra clothes. bonus: surfing lessons available almost whole year round though at times, sea can be so calm. place: a city, way ahead in preparing for upcoming economic development and investments. from roadways to neoteric structures. it sets a new standard for developing cities in the country. 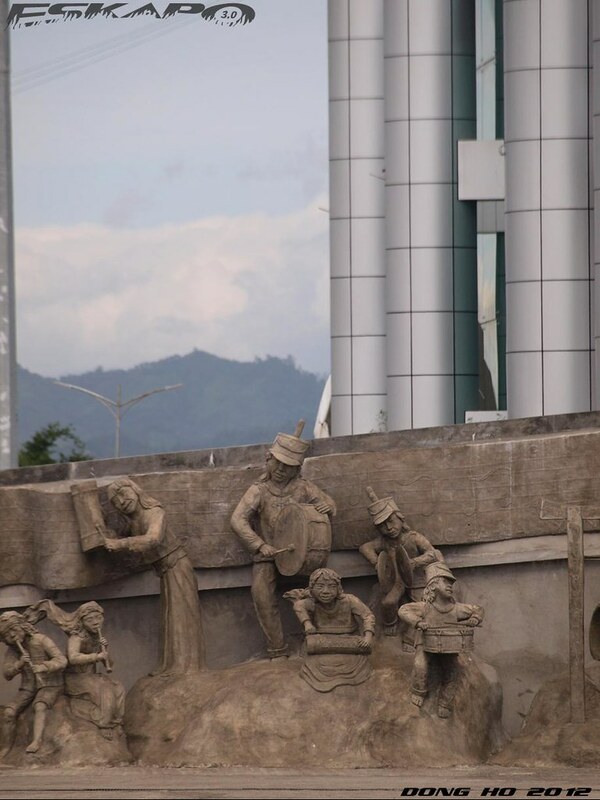 among the most notable landmark is its city hall, a re-developed systematic cemetery and its vast banana farms. experience: hospitality from the people who sets an exemplary standard for optimism. Tagum based blogger Leo brought me around the city. special thanks to city information office of Tagum for the warm welcome. bonus: to witness destroying of bora-bora, motorcycle mufflers that produced noise within the city. 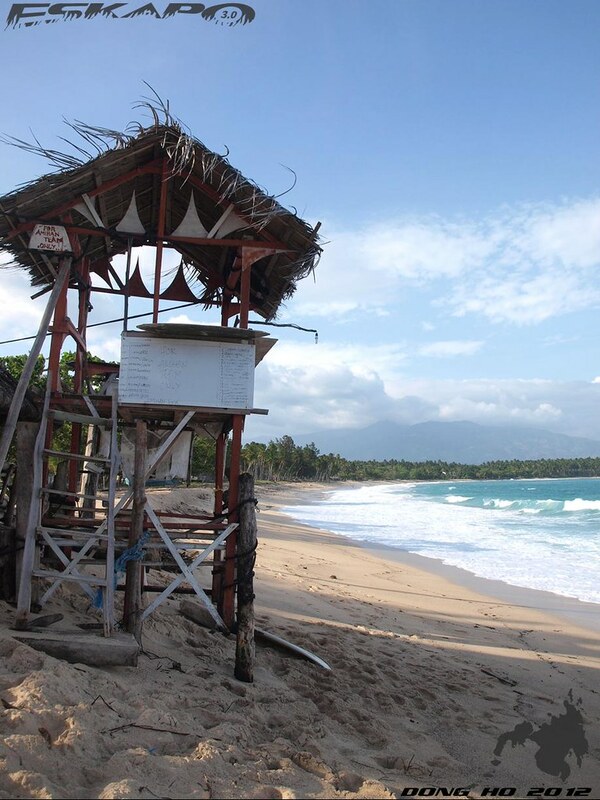 place: quickly becoming a popular beach destination for surfers and skim boarders is this humble Dalahican beach of Mati. 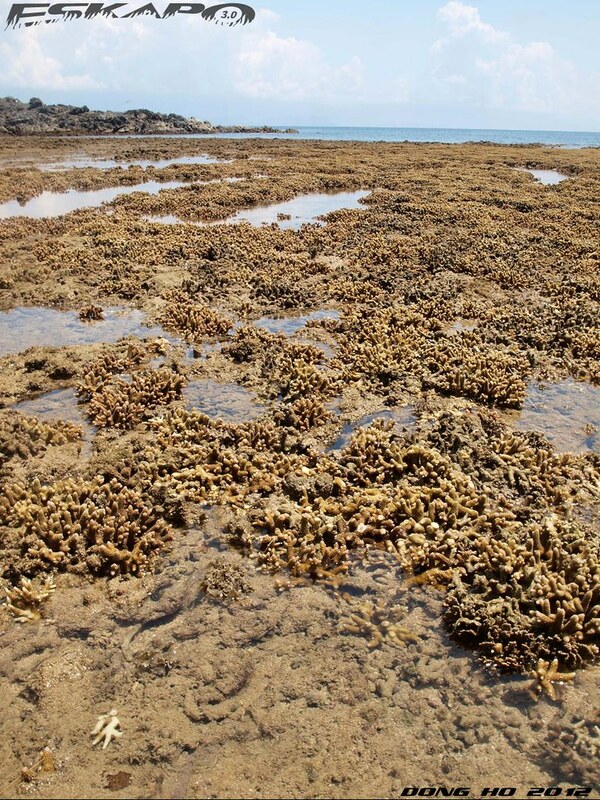 also known for being a haven to a number of manatees or dugongs for its rich sea grass coast. experience: i thought it would be just another ordinary beach trip not until i met kuya Jun's Team Amihan. Kuya Jun (real name George Plaza) has diverted some of the street kids in Davao from doing nothing to doing the right thing. he encouraged them to study, live a good life and motivated them to surf and skim. not anyone would do this getting nothing. but kuya Jun did. a real inspiration. bonus: a nice view of the sleeping dinosaur while on the hilly coastal highway approaching Mati. place: we know how gigantic dams are and how fascinating it is to see it from the road. 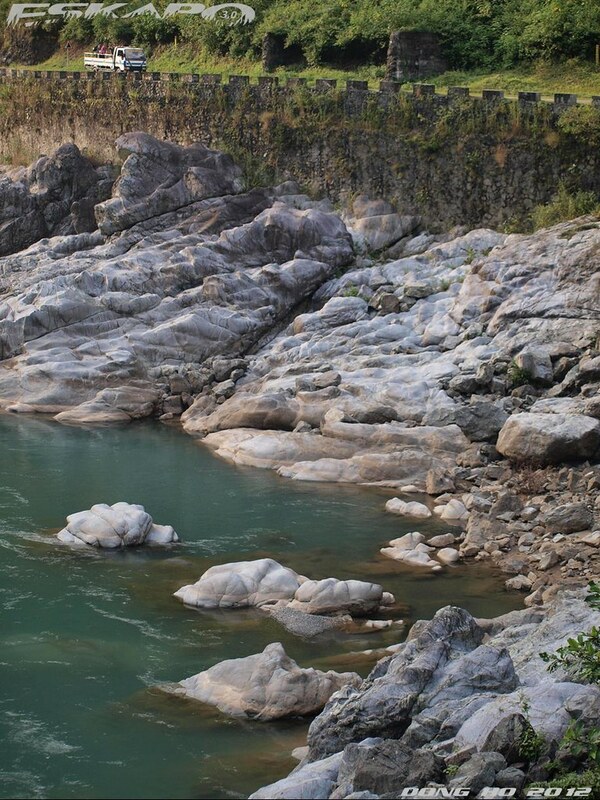 but our visit to Ambuklao dam lead us to stop over this scenic spot of Agno river. it has huge white rocks which looked like ice caps. a kind of place where i can actually stay the entire day relaxing. 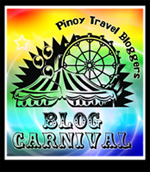 experience: while on the road with other travel bloggers, everyone started chanting PHL360 voice over. laughter everywhere. running over a hanging bridge made us forget that we were actually stuck in the middle of the highway when the van had a machine trouble. bonus: aside from the road trip to the dam, we also trekked Sto Tomas peak the day before. 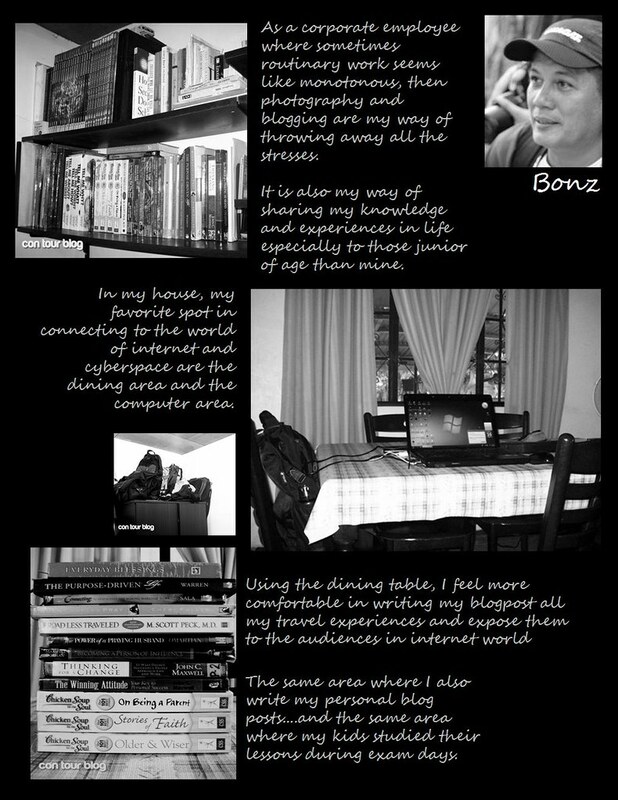 the photo shoot for Azalea Residences with the other travel bloggers was memorable. place: among the few pink-like sand beaches in the Philippines, this could be among the nicest. accessible in 15minutes by boat from the city and an area secured by military. next to a nice beach, it's a chance to visit a badjao cemetery which is just a short walk away from the main beach dock site. experience: if not fortunate, Chyng and i were extra blessed to have the Soler family accompanying us on this trip. who for years being in the city was also their first time to explore the island. thanks to Marx for helping out in coordinating with the boat agency. 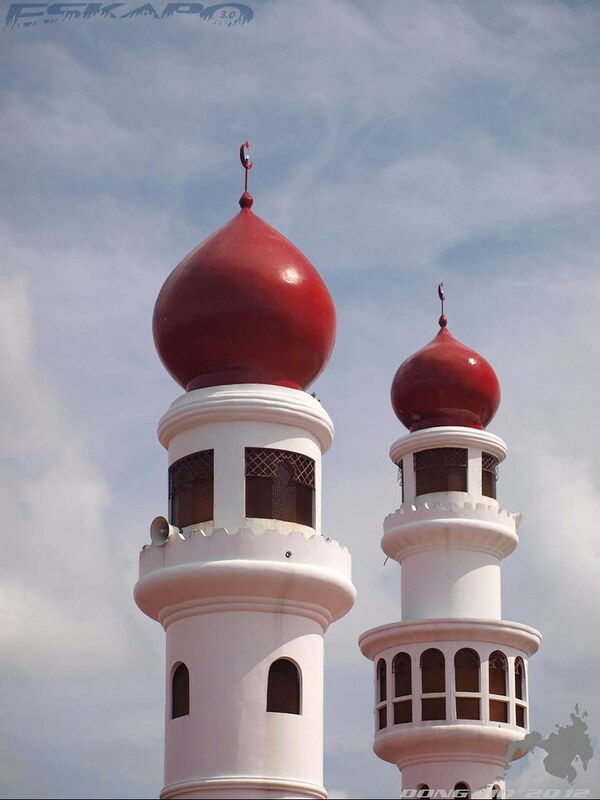 bonus: from this trip, we had the chance to include a visit to Taluksangay mosque. among the most important landmark of Islam in the country. 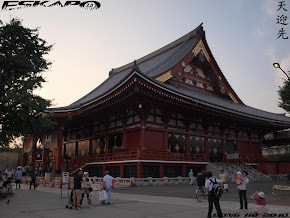 place: one of the places that i visit every year. i've seen how the place evolved in two aspect, natural and structural. though now it is more touristy, its majestic crater lake remains as grand as it was. 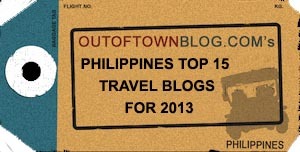 experience: this time traveling with 29 other travel bloggers and the chance to co-lead Rob. it was fun all the way including 4x4 rides getting stuck, meeting other travel bloggers for the first time and a dinner overhearing "taksyapo". bonus: the skyway route is closed due to typhoon. so it is by this time that we took the old trail which meant longer trek but more beautiful views. 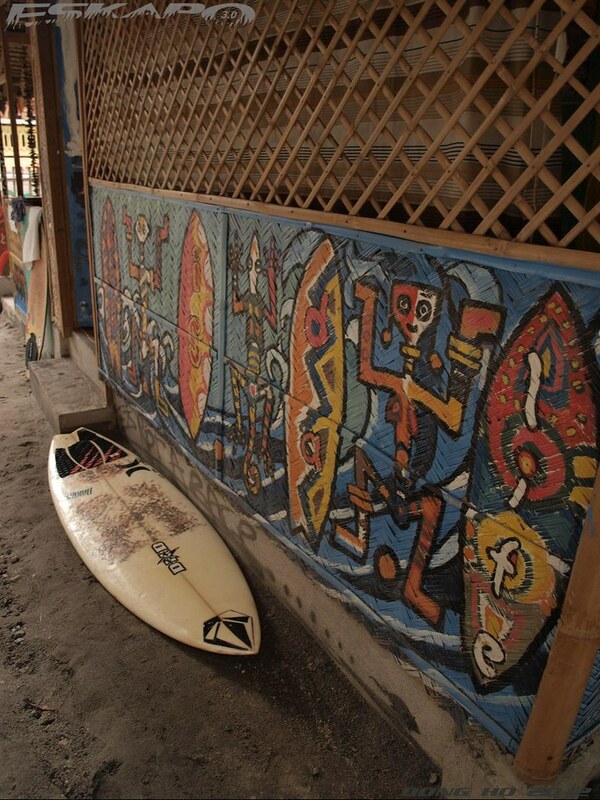 place: one of the newest surfing coastal village is barangay Liwliwa in San Felipe. it is quite usual that a growing surfing community gives a unique aspect to a place. in this particular spot is a wooden stay-in named Circle Hostel. one can stay by day and share a space with other travelers on top of an elevated wooden cottage or overnight on hammocks and dorm-type rooms. experience: who would attend a party without knowing the celebrant? laughs at self when recalling to this trip dedicated to someone who i haven't met. thanks to cool friends Gay and Tine who invited me to this trip which later became one of the coolest day trip filled with wit, smashed by the waves and going home almost blind for loosing my newly bought eyeglasses. bonus: Joey, the celebrant becoming one of the coolest new friend. place: for me, i consider it the best beach in Pangasinan for fine white sand and wide swimming area. though not easily accessible, a six-hour road trip there is worth it. 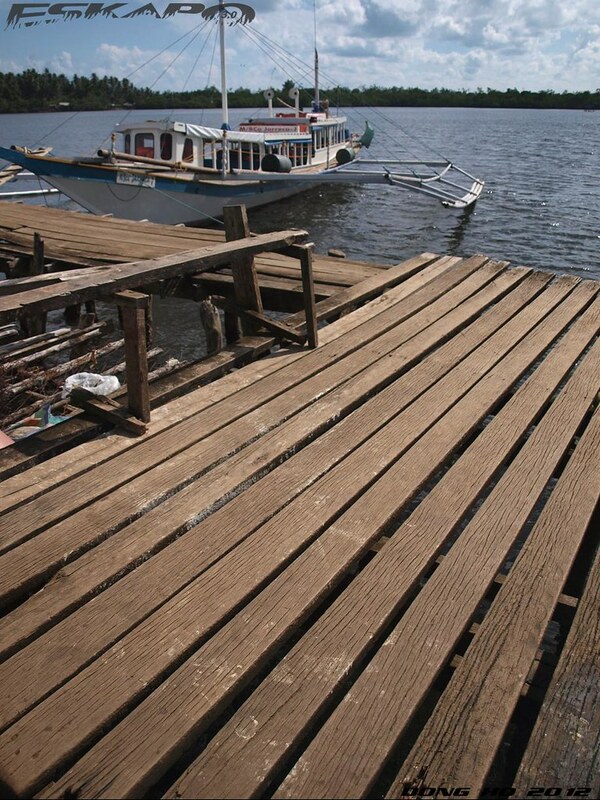 it is located in the largest island of Pangasinan it is connected with a bridge to the main Luzon island. 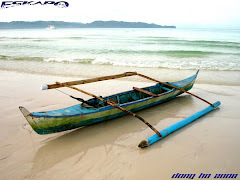 a short boat or even a walk away (during low tide) is the island of Tanduyong. experience: most of the time water is calm in Tondol. 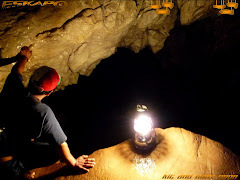 on my visit along with my travel buddies, we had a fun time despite the rains and the van getting stuck on a mud road. bonus: some resorts allow beach camping giving it a plus for those who wants to camp out by the beach. i recommend JCT Beach Resort for a great camping area and they can also cook food for you. place: Tarak is one of the most popular mountain for climbers for its beautiful trail and double summit views. a number of mini waterfalls along the trail are formed during the rainy days which adds an exciting view of the trail. experience: it was raining majority of the time that we were there that we had to abort summit and stayed in Banana river camp site. 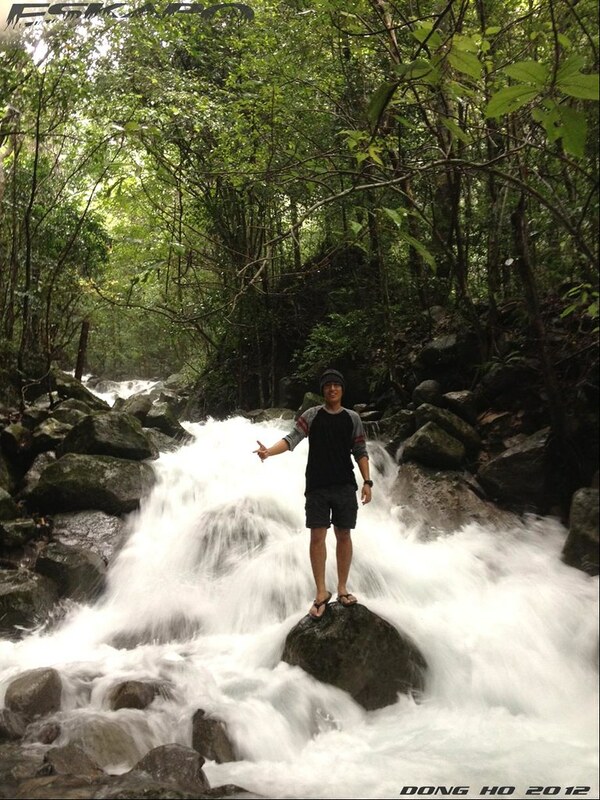 this gave us the chance to explore the many waterfalls surrounding the camp site. including secluded ones. bonus: the chance to find Firefox wood within the camp site and if quite fortunate some rare wild rats. place: far east of the Luzon coast facing the Pacific. not so attractive to tourist as coasts are mostly rocky and is a typhoon route. but it offers fresh fish catch and is also considered a surfers spot. 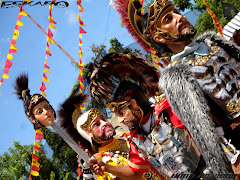 experience: it was a sudden decision to join when travel friends Mike, Erick and Rocel decided to go on a road trip to witness the unique tradition of flagellants in Infanta. drove our way sleepless since it happens by dawn. 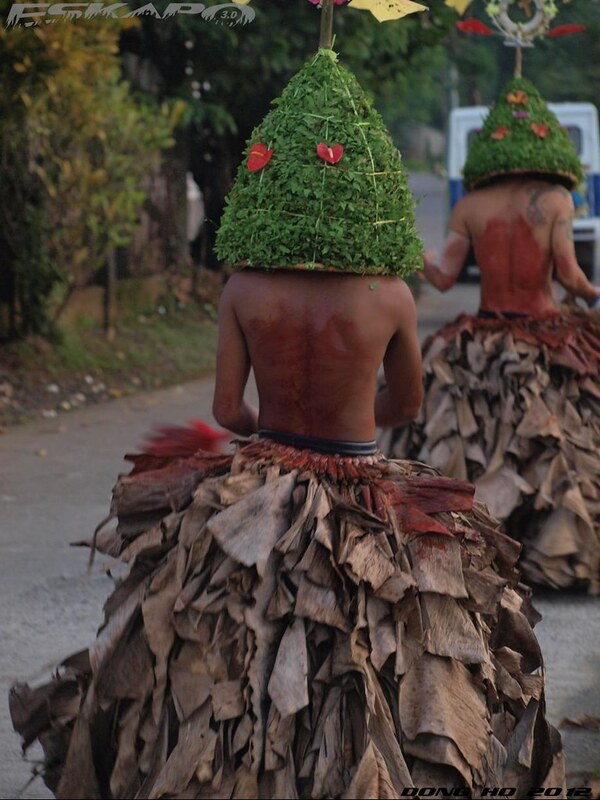 fortunate enough to capture the unusual decorative flagellants walking as penitence. bonus: side trip to Balagbag Falls which is a public waterfalls so expect picnic people during weekend but the waterfalls is really majestic. 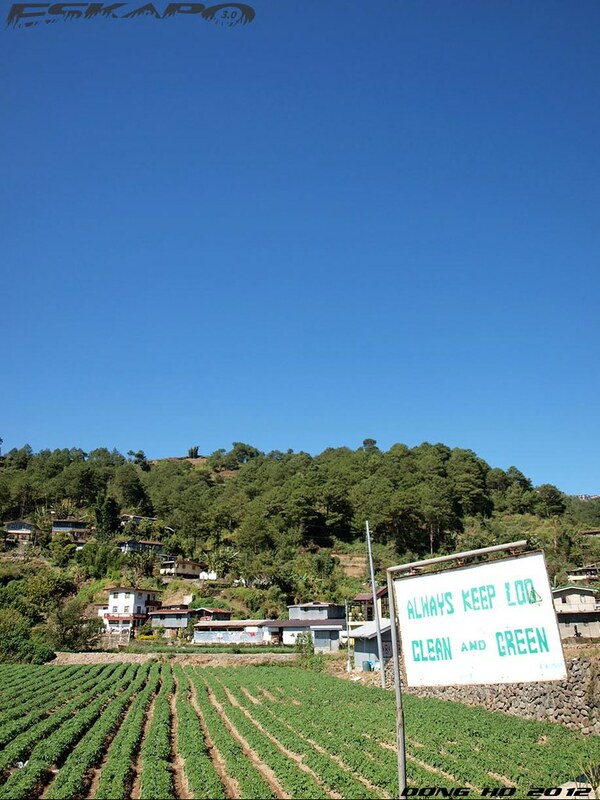 place: a humble community located outskirt from the main towns of Nueva Vizcaya but has an area of beautiful pine forests, waterfalls and a growing strawberry farm. an ancestral land rich in natural resources protected by its residents. for those who loves insects, this is one of the best spot. experience: this was a reunion trip with some of my travel buddies Allan, Oggie, Ferdz, Erick, Oman and this time with Rocel. we went to this place before but not as a group. it was only this time that we had all together in Imugan. a groups favorite abode. bonus: a short trek to the forests will lead to a nice waterfalls. place: an off-the-beaten spot for travelers. 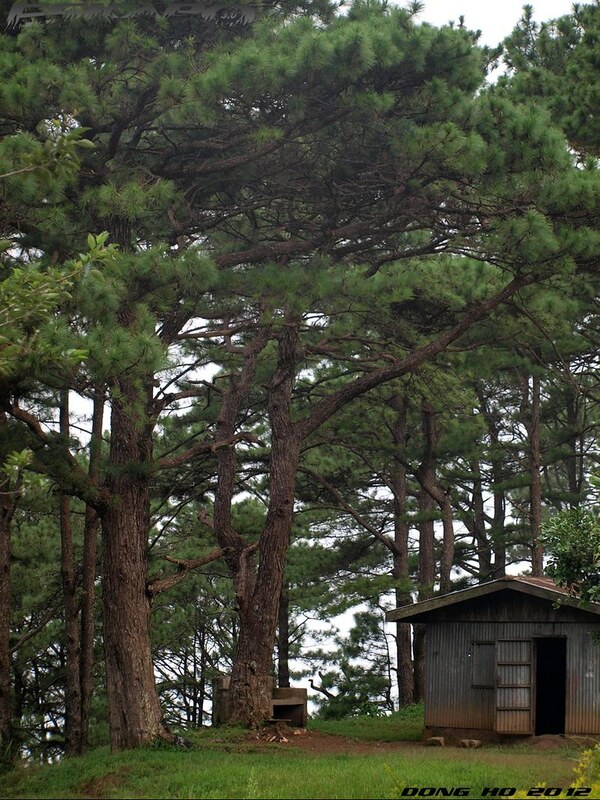 though just two towns away from Sagada, it remains almost unknown. it has one of the nicest topography i've seen including a towering waterfalls and the beautiful Mt. Mogao which can be seen from almost every spot in the road to Tadian. Tine has been recommending me this place and i would often say "maybe next time" everytime she recommends me this place. 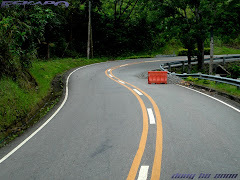 it was this year, when i was in Baguio on a long weekend decided to give it a chance. no regret. it is a top spot. experience: my stay there was too short for me to catch the regular trips to the jump off point to trek Mt. Mogao. on the second day there, i decided to trek it alone instead of waiting for the public ride. big thanks Tine! bonus: explored the town's old church and a trek to the view point where one can actually see the highway to Ilocos. unfortunately it was all fog when we reached the viewpoint. 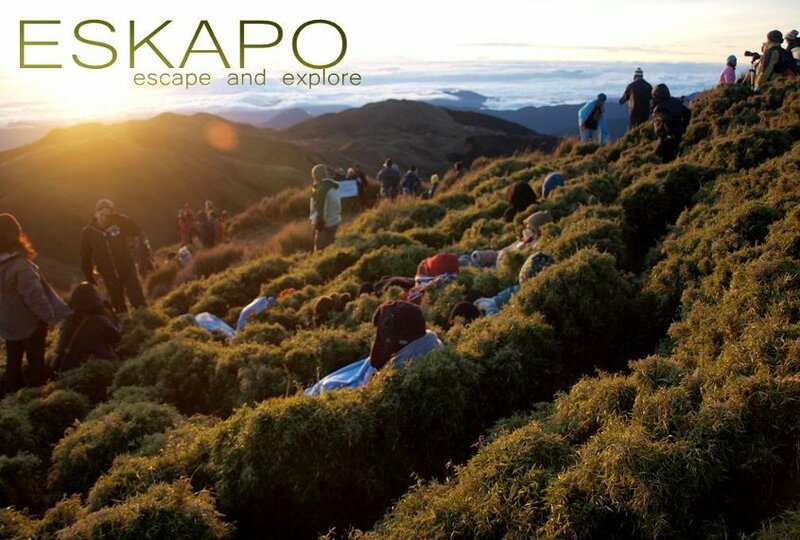 place: accessible in two trails via Kabayan and via Halsema Highway. there are two reasons why travelers go here. one is to trek Mt. 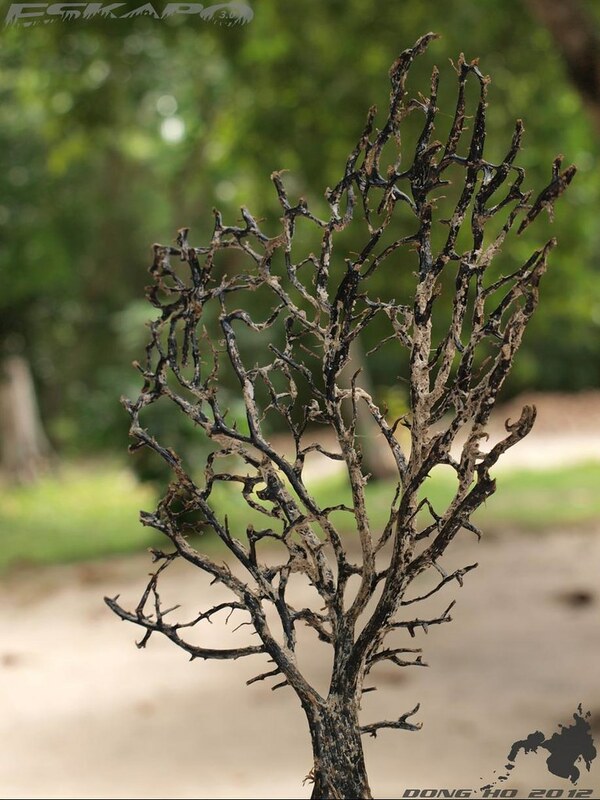 Timbac and second is to visit the Fire mummies of Kabayan. experience: to see the preserved bodies of the royal ancestors of Kabayan was something i highly recommend. now considered as a national treasure. 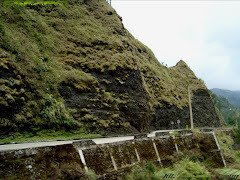 i also had one of the coldest experience in Cordillera like one would experience in Mt. Pulag but the fun time with fellow travel bloggers Ga-el, Emil, Darwin, and Francis made it a funny and unforgettable trip of a laugh time. bonus: a view of Mt. Pulag from the Kabayan trail and the Halsema Highway from the Mt. Timbac summit. place: one of the spots that i've been wanting to visit for years now. not many has explored the southern side of Palawan because of the malaria warning and some news about the place being dangerous. 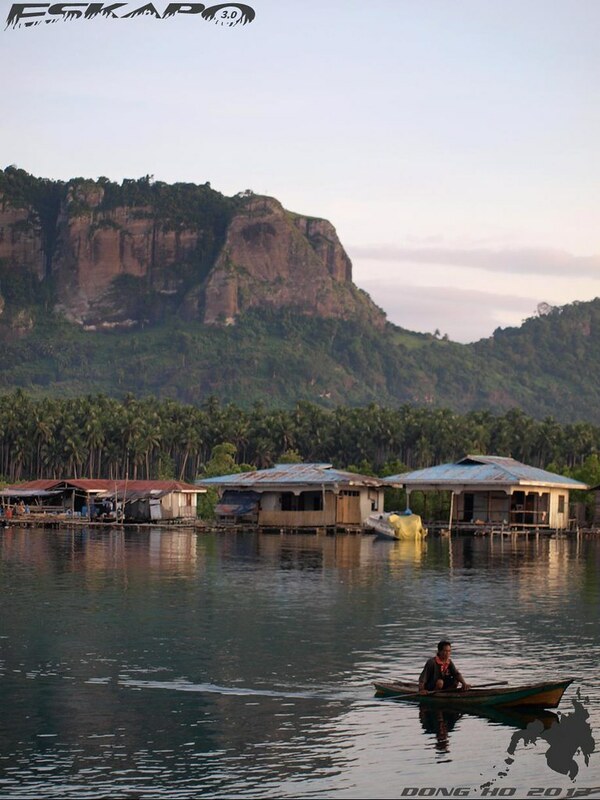 this side of Palawan has communities of stilt houses, a busy mining site and beautiful mountain topography. 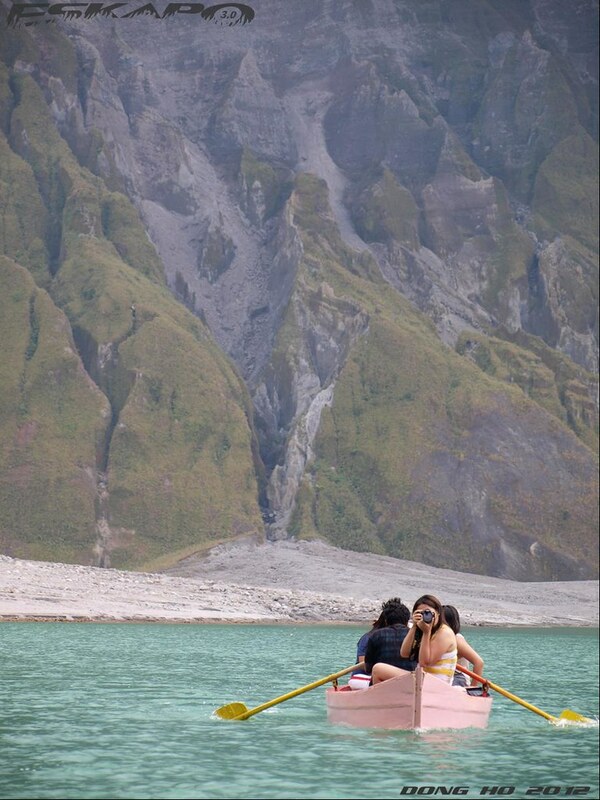 experience: joined by Josiah, a travel blogger now based in Palawan, made a perfect tandem to explore South. we trekked Bakbakan Falls, missed the boat to Balabac island, missed the chance to see the cockatoos at Rasa island, and biked over a hanging bridge. bonus: climbed the old lighthouse in Brooke's Point. place: islands on the southmost area of the Philippines covers the islands of Basilan, Sulu and Tawi-Tawi which are all beautiful from above. but the view of Bongao's peak or more known as Bud Bongao captured my attention the most. 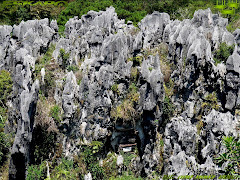 this rocky hill becomes the symbol of Bongao's majestic mix of nature and culture. 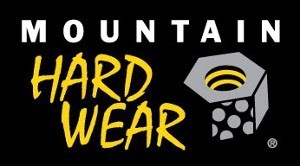 being a sacred mountain, it is believed that one is blessed after reaching the summit. 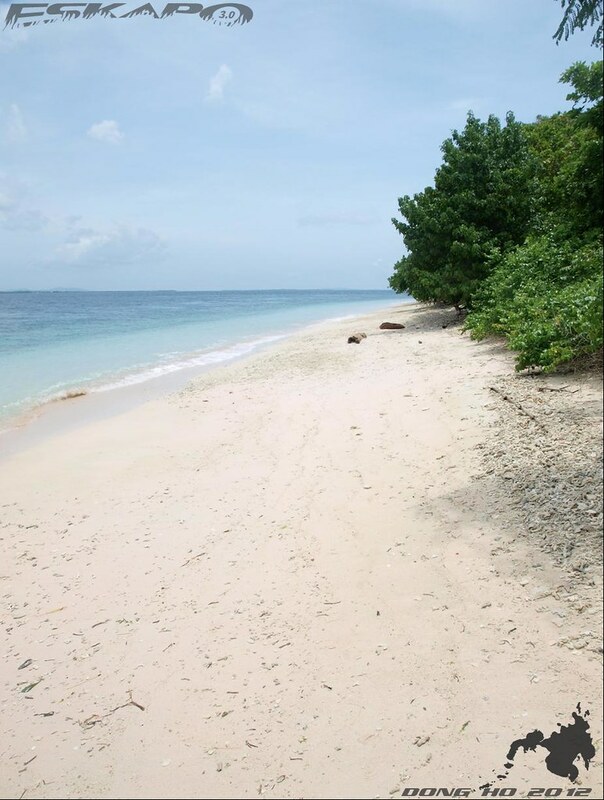 experience: contradicting to the notion of a very unsafe island, Bongao has friendly people who are even taking pride in bringing you around. Chyng and i would attest to this through the people we met there. bonus: sunset in one of the coast in Bongao is as nice as the one seen in Manila bay. with fresh air. place: Beijing being the capital of the People's Republic of China holds among the country's most significant and historical structures. including among the world's largest structures the Forbidden City, Tiananmen Square and the Great Wall of China. the urban side includes the unusual CCTV tower and the Olympic Park. 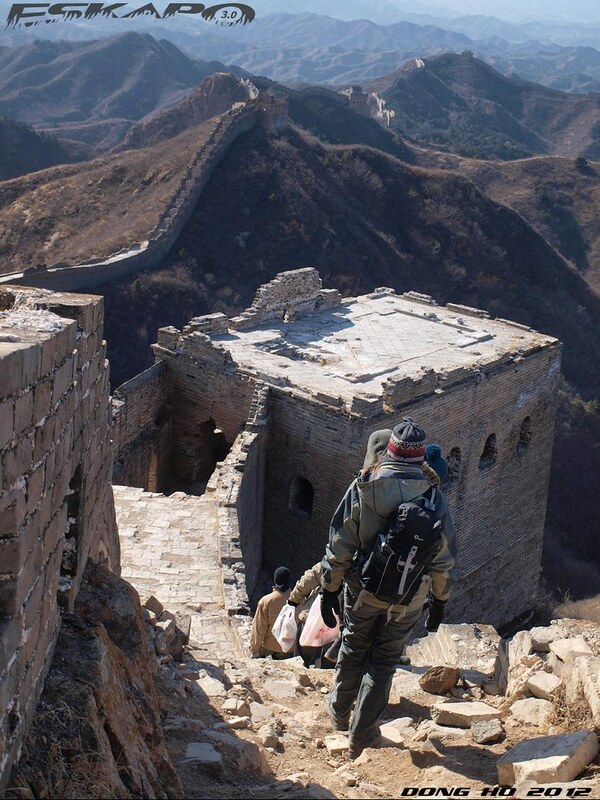 experience: i get lost almost everyday when i was roaming around Beijing but it was all part of a Beijing experience. it would not have been as memorable without all those experience. the cold weather made it fun to walk from hutong to hutong and food trip without knowing the ingredient. bonus: the train system is efficient and extensive that you can actually go to famous tourist spots within the city by train at a really cheap fare. place: home to many waterfalls including the famous Maria Cristina Falls and the majestic Tinago Falls. parks and ziplines boost the adventure spirit when going around the city including a zipline by the beach. 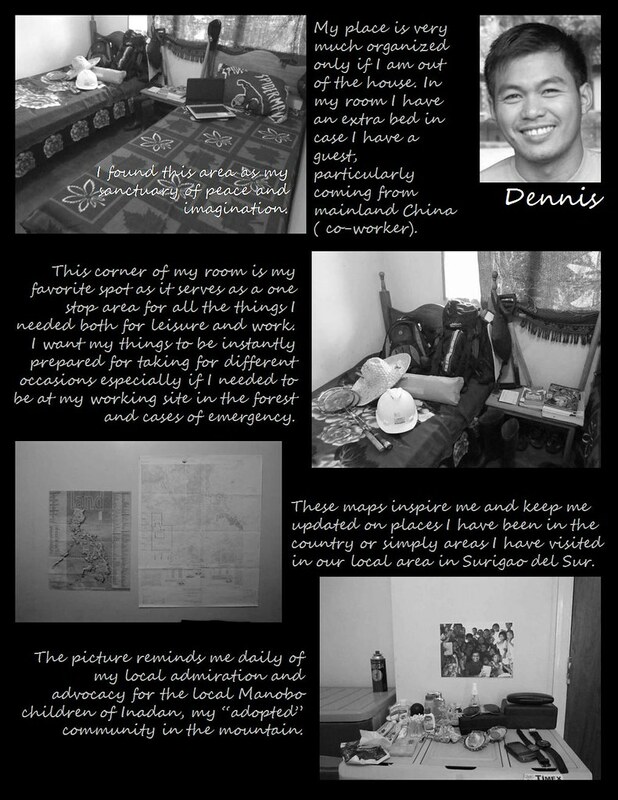 experience: aside from the experience of traveling with Robx for the South leg, it was when we had our chance to stay over the tent city from the typhoon Sendong victims that gave us a full circle of project PHL360. each day of the experience was both tiring but fulfilling. bonus: the friendship formed from this project. from the fellow casts, the crew and the people we encountered during the trip. kudos to the PHL360 crew who gave the best out of the little that they have. place: being the northernmost province of China meant a very cold climate. 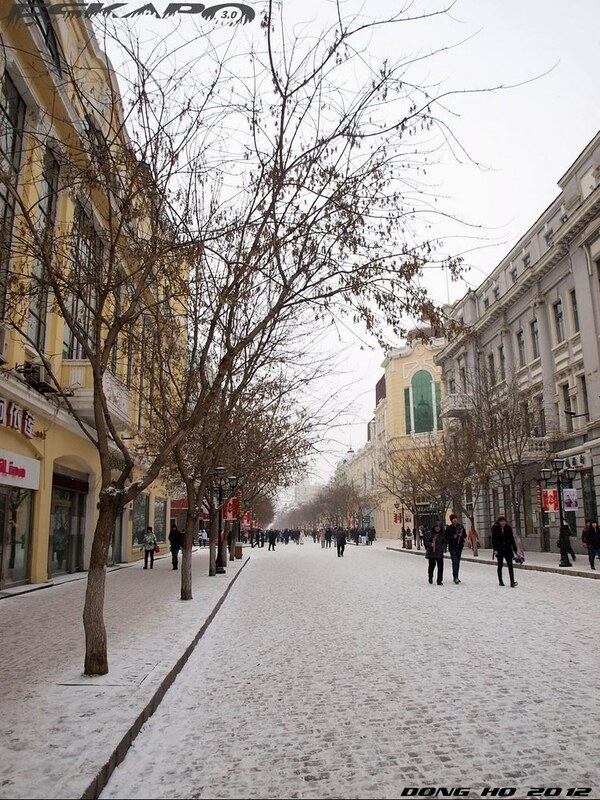 Harbin in particular is known for its snow festival, Russian and Jewish influence structures including St Sophia church. experience: i was there for two things. 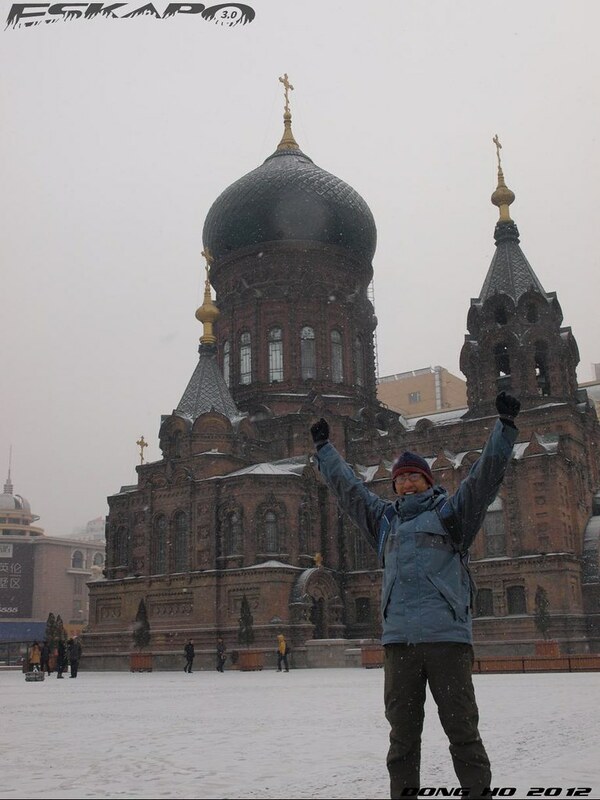 to see St Sophia church and to experience snow. but like Beijing, i found myself getting lost but would always find something interesting along the way. my most unforgettable experience was the chance to sleepover in a Jewish structure, walk over a frozen lake and a long bullet train ride. bonus: the long train trip from Beijing to Harbin gave me a perspective of an even growing China. from urban to rural views, i was amazed. these and all the other day to day experience, i shall forever be grateful. without my God, family, company and friends... it would have been a year filled with blessings but missed to see it. thank you for following and supporting eskapo. cheers to another year in travel. flying over several thousand feet over the islands in the archipelago's southernmost group of islands was unforgettable. a kind of feeling where you would point to one island and to another and say i want to go there and there and also there. we know travelers love to run away out of their abode but it is interesting to see their own favorite spots in their four-cornered homes. 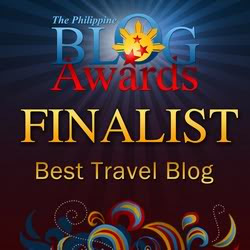 this time featuring three Mindanao based travel bloggers who each picked that particular spot that makes them feel at home. 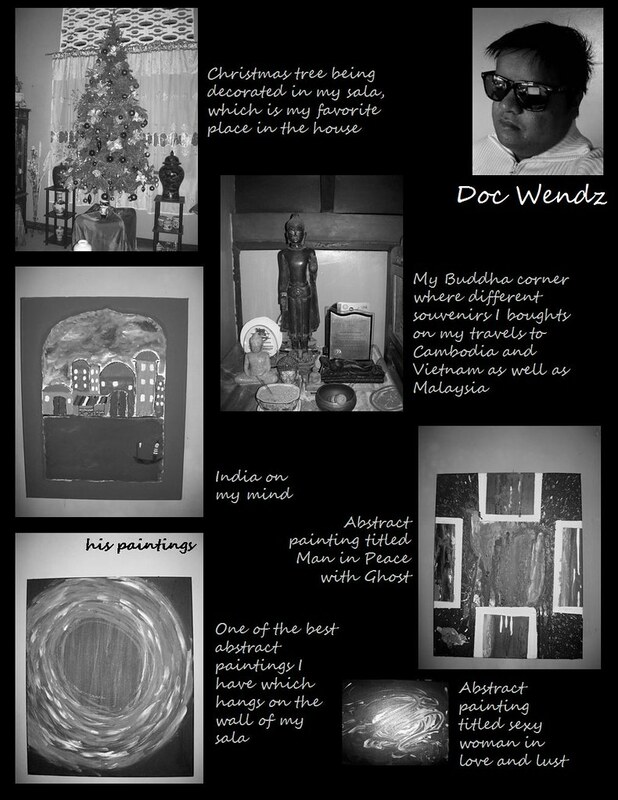 the Philippines as a country geographically divided into islands and regions also embraced a diverse cultural mix. democracy strengthened the right of the people to be part of a religion and protect its traditions. every time i went home to Isabela City in Basilan from Zamboanga i would often see the Great Sta Cruz island from afar but never the chance to go there. it was just this year along with Chyng that we made sure we'll drop by this island famous for its acclaimed pinkish sand beach. 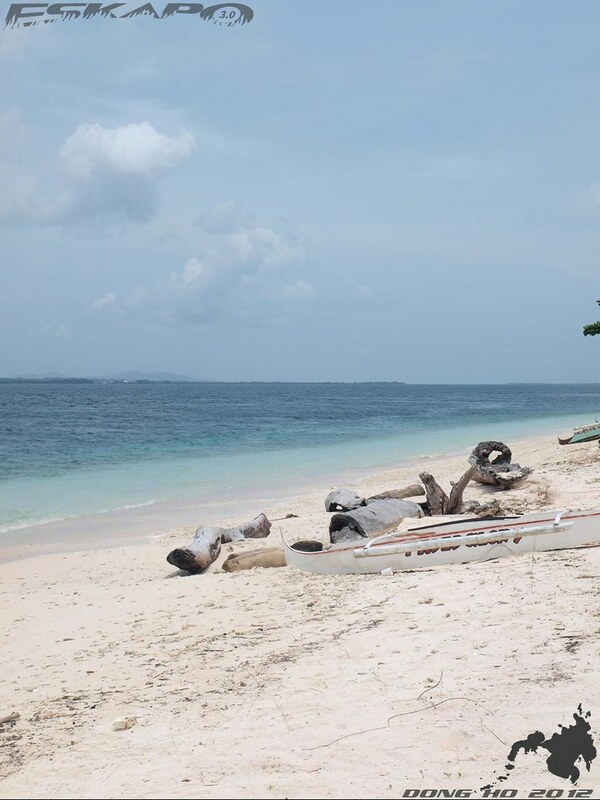 believe it or not, even most of the Zamboanguenos has not been on the beach island of Sta Cruz. the main reason, the concern for safety and accessibility. the funny thing is it is safe and very accessible. on this trip in Zamboanga, we were hosted by the Soler family who also joined us to the island. like i said, it was also their first time. the smaller Sta Cruz island is occupied and controlled by the military while the larger island or known as the Great Sta Cruz island is open to tourists. 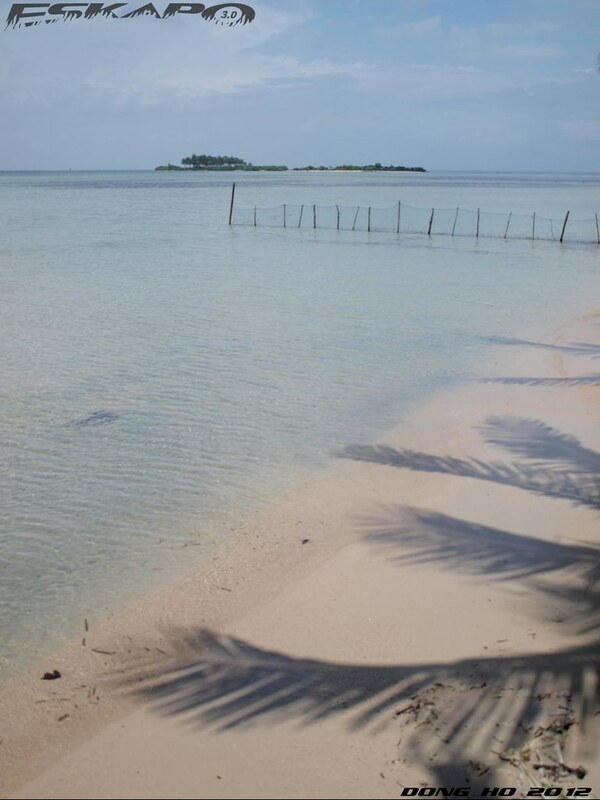 even though it looked like a large island, it is entirely flat with a large mangrove area surrounded by a beautiful beach coast. the pink-like sand beach gives it a unique feature, combining white sand and crashed red corals which is abundant in the Zamboanga peninsula. the public beach area is wide but the length of the beach for swimming is a bit limited because of the sudden-deep beach lines. 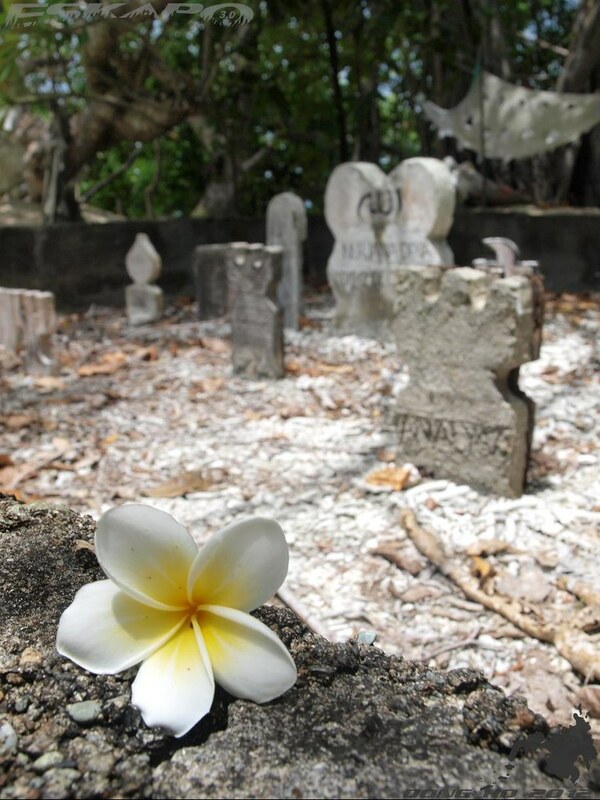 but beyond the pinkish sand, one of the most interesting spot in the island is the Badjao cemetery. it is just a short walk away (10mins) from the main beach area on the way to the fishing community. 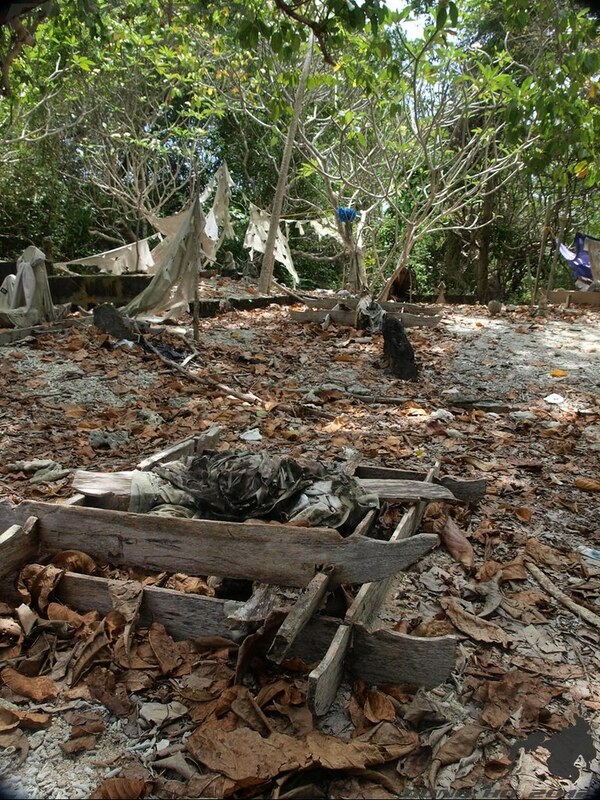 partly hidden on one side of the coast with used cloth hanging from one tree to another. the tomb stones come in different forms but still like most tombs, the name of the person and the date the person died is engraved. 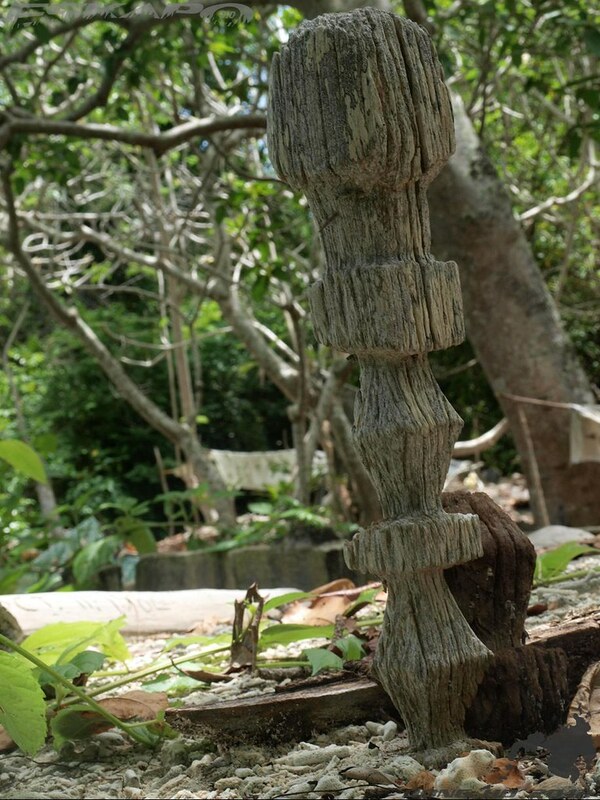 some particular tombs comes with engraved Arabic characters and a more unique feature are its wooden boat-shape outrigger seen within the cemetery, symbolic to the Badjao community. despite the beach area having shaded cottages and good comfort rooms, still it lack food shops. so tourists needs to bring their own food. on a small corner, souvenirs are sold by locals including miniature vintas, shells and bracelets. please don't buy those made of black corals. 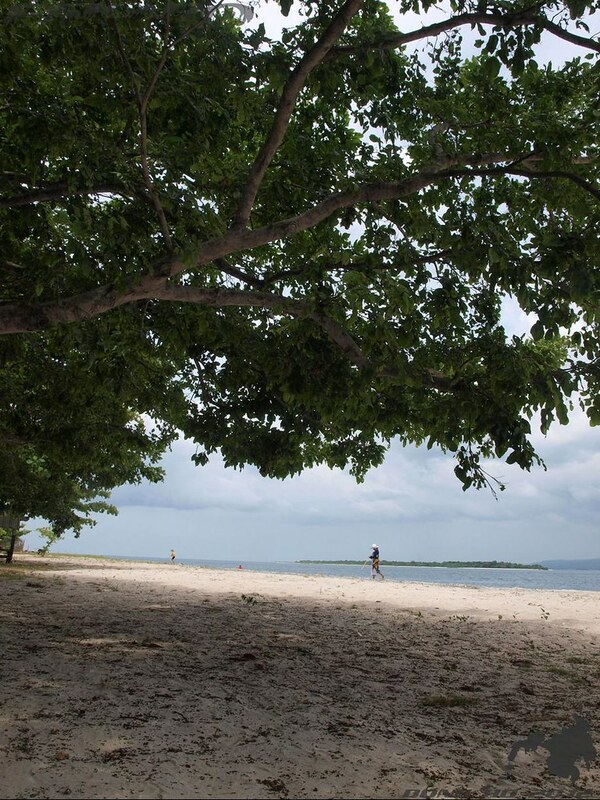 the entire island is surrounded by sand but only a portion, facing Zamboanga City is open for tourists. 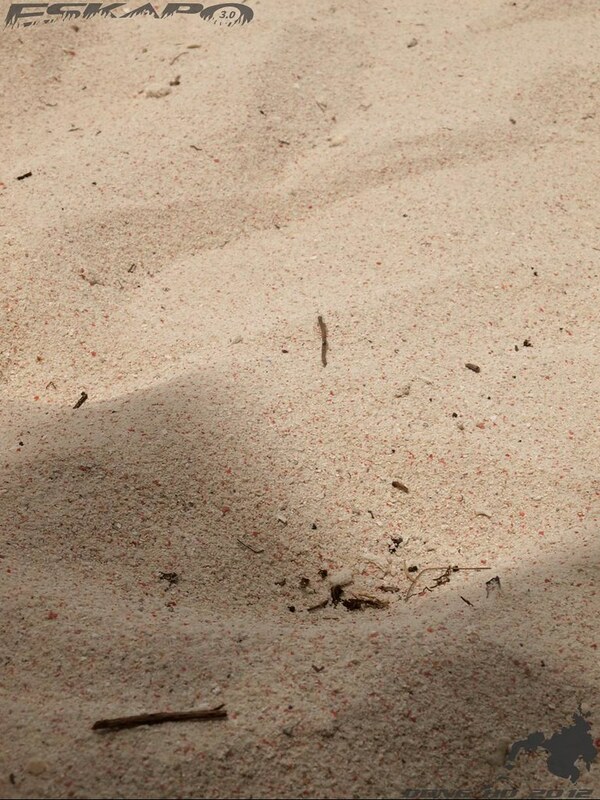 the pink-like sand is its most interesting feature. though the coast is a sudden deep beach front, the length of the coast is long enough. the entire coast facing the city has very less rocky areas but one needs to check sea conditions as this is an open sea channel. though majority of the island's population are Badjaos som Christians are already sharing a portion of the small fishing village. 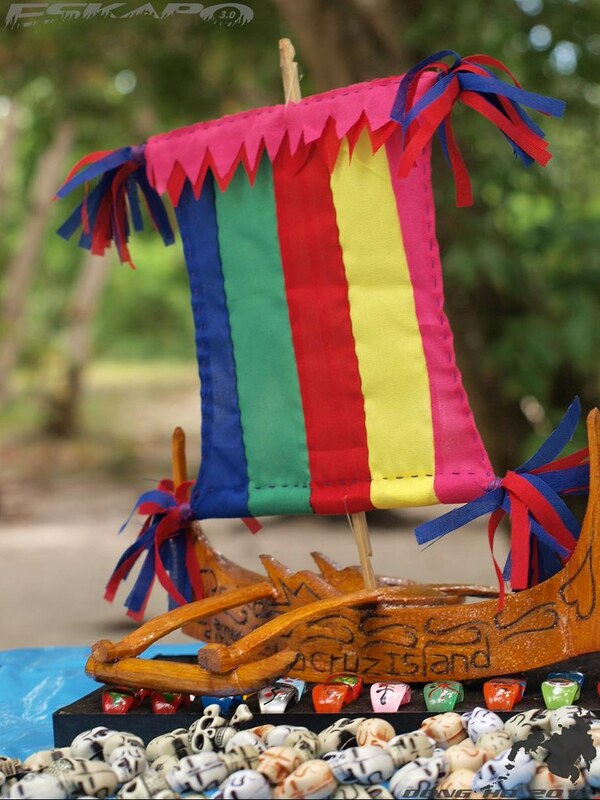 you can interact with some of the locals who are selling souvenirs to get to know more about the island. one of the best thing about the Great Sta Cruz island is its proximity from the city port. though not by any public boats but by official boats accompanied by a security personnel as coordinated with the city tourism office. the entire one way boat trip is just about 20-30minutes. 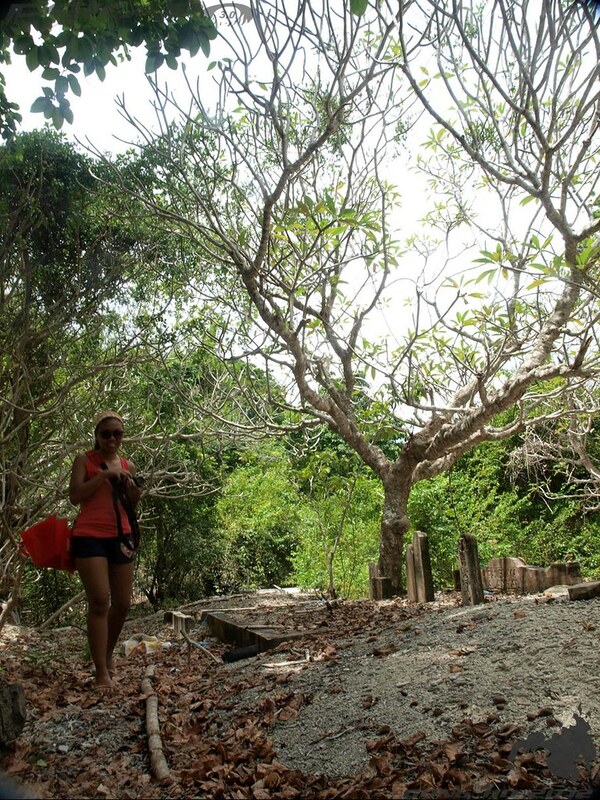 the entire Great Sta Cruz island is flat and majority of the land area is swampy and filled with mangroves. 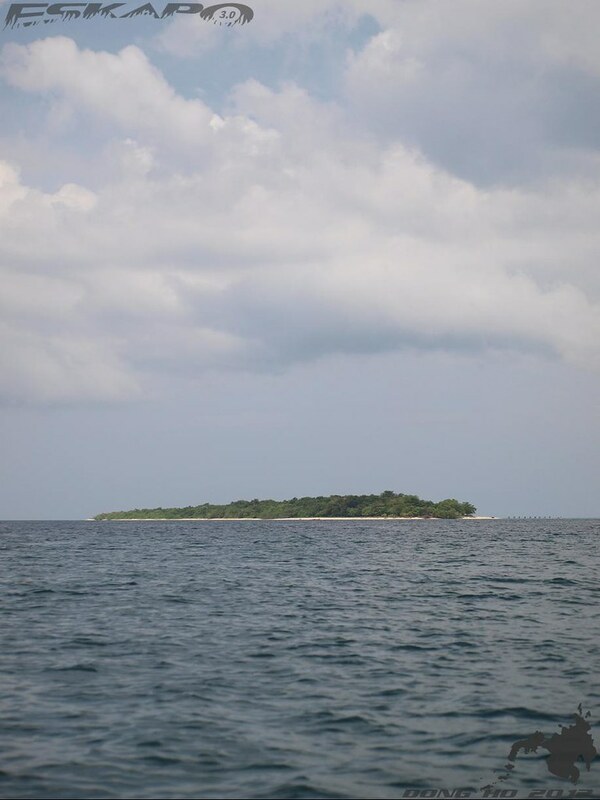 the island is believed to be surrounded by rich coral reef that includes black and red corals. from the time you will be picked up by the boat guide at the Zamboanga city you will be accompanied by an armed security personnel. 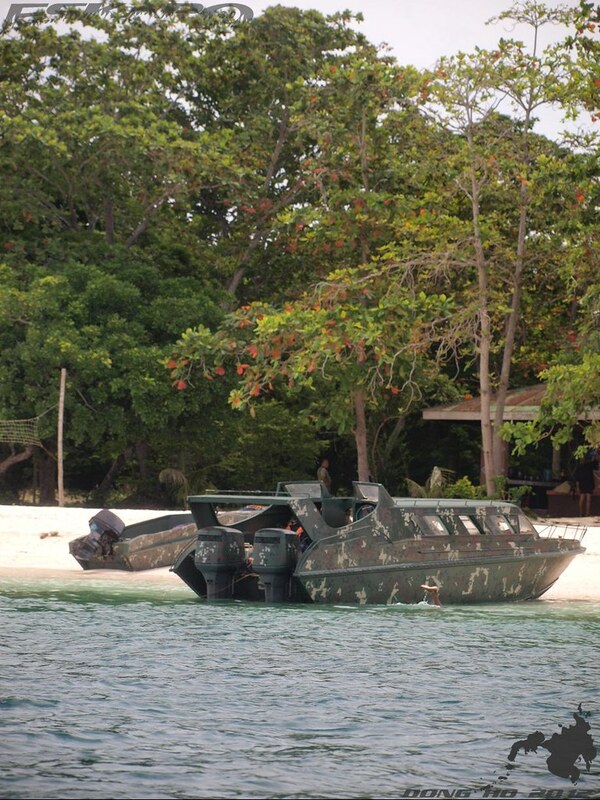 don't be surprised as more military visibility are expected when you reach the island. island is relatively safe. this is to assure safety of tourists from any unwanted incident. despite the big environmental issue last year, where a large number of black corals were confiscated in Cebu, some locals wer still seen selling bracelets made out of black corals. one local still handed this piece to show what the bracelets were made of. 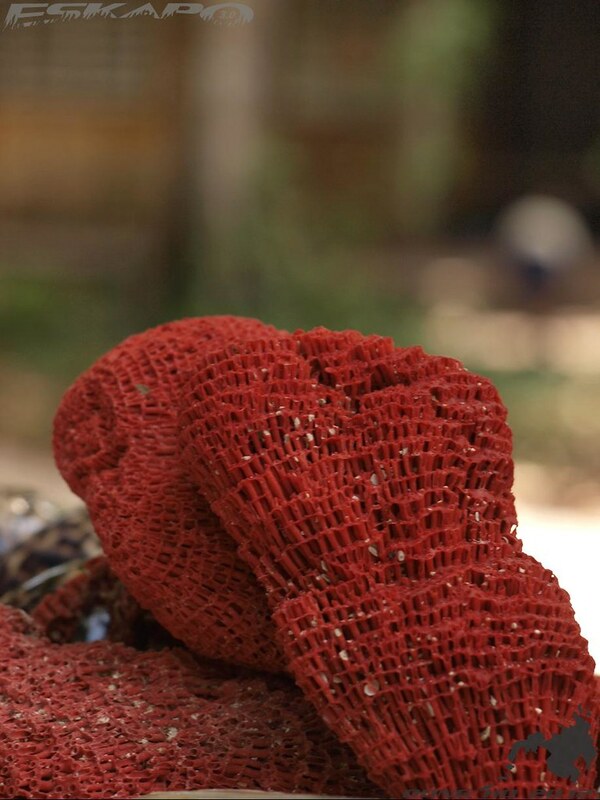 please don't buy items made of corals and other restricted resources. 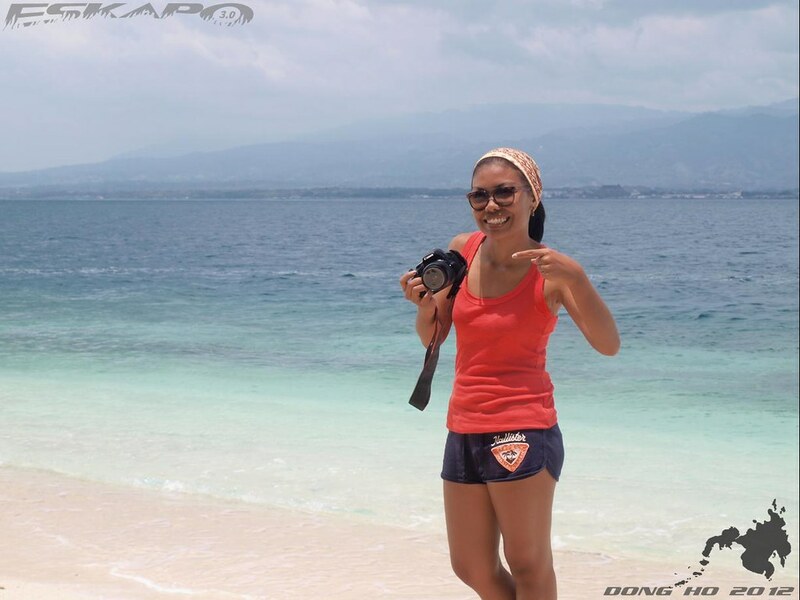 check out Chyng's post on Sta Cruz island "Sound and Secured Zamboanga Trip". special thanks to Marx Velasco of Marxtermind for helping us coordinate with Zamboanga tourism office for our trip slot reservation. coordinate with Zamboanga City Department of Tourism office located in Lantaka Hotel. book in advance for a boat ride to sta Cruz island. do the reservation at least a day before your planned trip to the island. 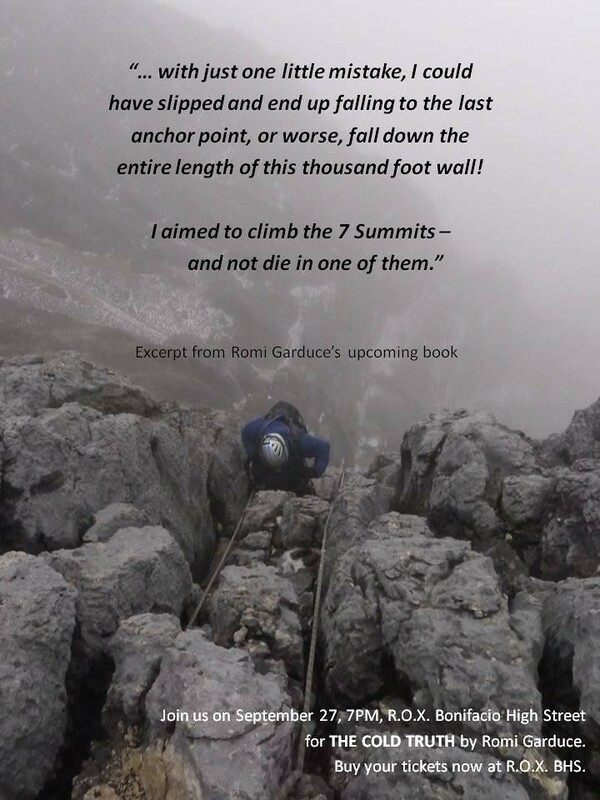 let us together get first hand tips from the one and only Filipino who conquered the world's seven summit. 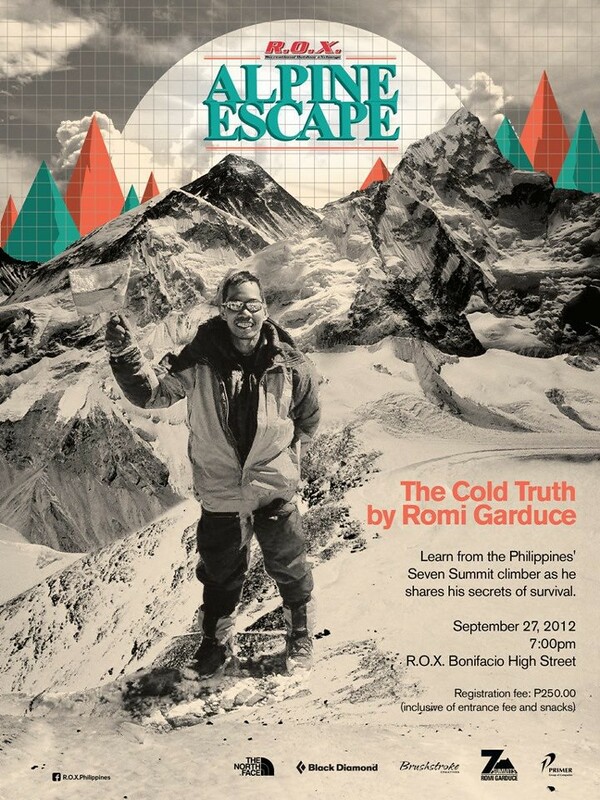 Recreational Outdoor Exchange brings us climber Romi Garduce on September 27, 2012 at R.O.X. Bonifacio Global City. 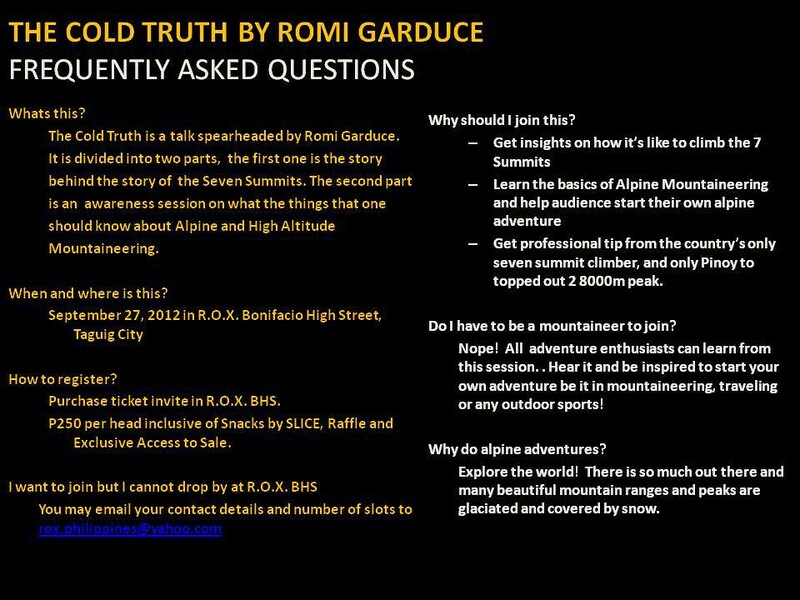 this will be a two-part talk of his experience and how one could start considering Alpine climbs in the future. you can read the FAQs for this talk below, including how you can register online. see you there.